(QS/QSC) (Mombasa, Kenya) 1967 - 2008. Photos. Framable Color Prints and Posters. Digital Sharp Images. Aviation Gifts. Slide Shows. 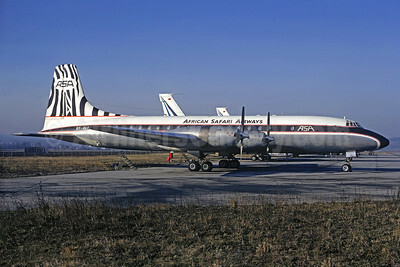 African Safari Airways-ASA Bristol 175 Britannia 313 5Y-ALT (msn 13431) BSL (Christian Volpati Collection). Image: 933770. 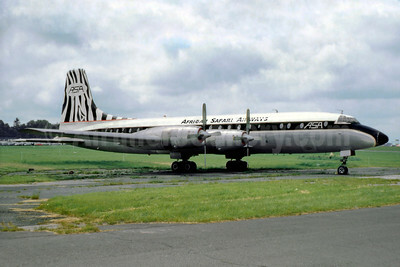 African Safari Airways-ASA Bristol 175 Britannia 314 5Y-ALP (msn 13393) BQH (SM Fitzwilliams Collection). Image: 930388. 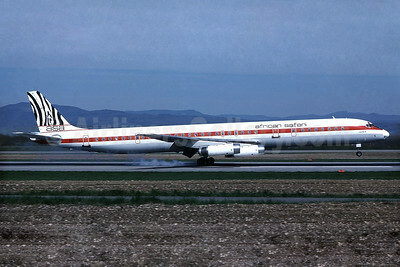 African Safari Airways-ASA McDonnell Douglas DC-8-63 5Y-ZEB (msn 46122) BSL (Christian Volpati Collection). Image: 930387. 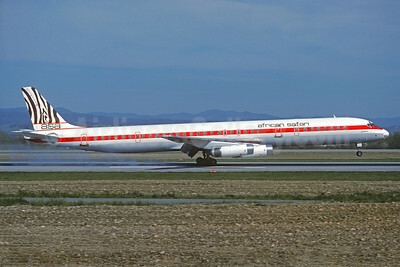 African Safari Airways-ASA McDonnell Douglas DC-8-63 5Y-ZEB (msn 46122) BSL (Paul Bannwarth). Image: 933767. 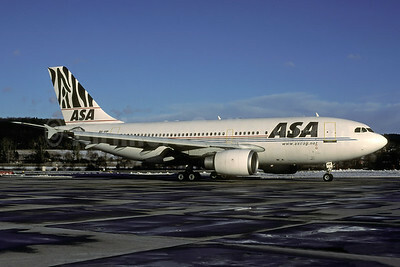 ASA (African Safari Airways) Airbus A310-308 5Y-VIP (msn 620) ZRH (Richard Vandervord). Image: 902544. 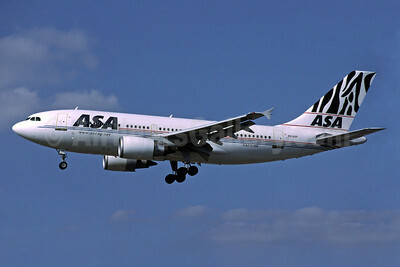 ASA (African Safari Airways) Airbus A310-308 5Y-VIP (msn 620) ZRH (Rolf Wallner). Image: 935192. ASA (African Safari Airways) McDonnell Douglas DC-8-63 5Y-ZEB (msn 46122) BSL (Christian Volpati Collection). Image: 933768. 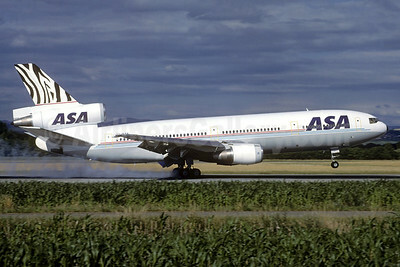 ASA (African Safari Airways) McDonnell Douglas DC-10-30 5Y-MBA (msn 46952) BSL (Christian Volpati Collection). Image: 933769.